When you have to click around to different parts of a patient's health record just to get an overview of the patient's health, it can slow you down. 1st Providers Choice makes it easy to find information, such as patient allergies and current medications, by providing a Chiropractic EMR dashboard. 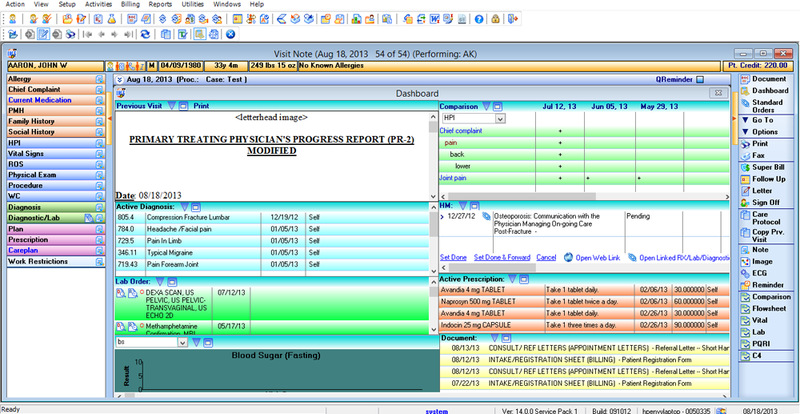 The dashboard gives providers access to important patient data from an easy-to-navigate overview screen. Learn more about our Chiropractic EMR Patient Dashboard and schedule a free demo. Call 480-782-1116 today!